The holidays are here, and that means friends, family, feasts, and frequent energy use. 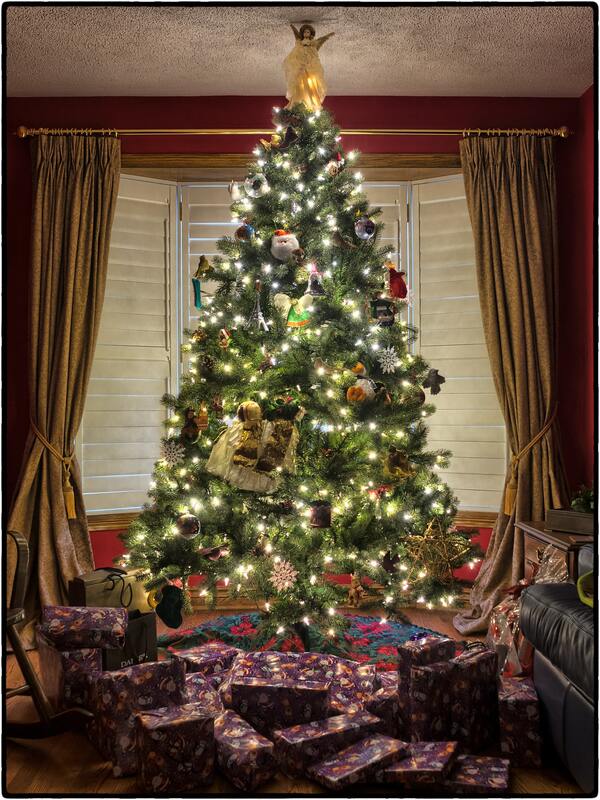 With Thanksgiving behind us and Christmas right around the corner, you may want to consider how to improve your energy consumption for the coming holiday. Many of these energy tips can also be applied year-round to further help you save electricity. As your old strings of holiday lights burn out, replace them with LED strings. These strings are brighter, last much longer, and are 80% to 90% more efficient than the old incandescent strings of lights. Outside of the holiday season, Energy Star rated LED pathway lights as a great way to light up your walkway, many of which, are powered on their own by solar energy. By implementing timers or photo cells (when it gets dark enough, the lights automatically turn on), you can save even more energy. Since it’s getting colder, you can actually store beverages outside or in a garage instead of a refrigerator to keep them cool. This method will keep a likely already overstuffed fridge from working hard to cool drinks as well. If you have frozen vegetables you’ll be using, let them thaw in the refrigerator instead of on the counter; this will help keep the fridge cooler longer. When packing leftovers, let them cool down before putting them in the fridge, to keep it from working harder to cool the food. When cooking food, use the smallest appliances necessary to cook or warm food. Microwaves use a little less of half the energy of a conventional oven, and crock pots use about 9% of the energy required by a microwave, hour for hour. If using an oven for baking, keep the door closed as much as possible. Every time the door is opened, you lose a lot of heat that the oven needs to regenerate. With stovetop use, make sure the pot or pan you use is the same size as the burner underneath. An undersized pot or pan can waste up to 40% of the energy from the burner. Cover pots when boiling water to help retain more heat and use less electricity. Cleaning dishes, pots, and pans as you finish using them while you are cooking, can save you time and money. And cleaning a load of dishes by hand will save about 37% of the water used in a dishwasher. If you still plan to use a dishwasher, make sure you do as full of a load as possible. The washer uses the same amount of water and electricity, whether there are five dishes or fifty. Switching from incandescent bulbs to compact fluorescent lamps (CFLs) or LED bulbs will save a fair amount of electricity for lighting. Unplugging electronic devices that are not in use will save you money and energy too, as even when they are not on, they still draw power. Use timers or motion sensors on lights to control when they turn on and off, maximizing their efficiency, even if you forget to turn them off. If you plan to travel this holiday season, shut off and unplug as many appliances in your home as possible. Microwaves, entertainment centers, and computers can all be shut off and unplugged to save electricity. Unplugging smartphone and tablet chargers when they are not in use also prevents a draw on electricity. Weather-stripping your home will help seal in warm air in the winter and cool air in the summer. This will keep your home more comfortable, and reduce the amount of time your heating and cooling systems need to run. We already recycle plastic bottles, aluminum cans, old newspapers, and many other materials. But there are many other things that are recyclable, and they can even help line your pockets. Things like wine corks, gift cards, hair (you read that right), cooking oil, and even some common trash can help you and the environment. Wine corks are often popped and then forgotten. If you collect these bottle stoppers, they can actually be sold on eBay for about five cents per cork, often in bulk of about 100 corks at a time. They are popular in the arts and crafts communities. Another option is to send them to Yemm & Hart Green Materials. This leading recycler of cork will pay you for a minimum 10 pounds of cork at a time. They can only take pure cork, as in no plastic or synthetic corks can be accepted. The amount of money they pay out is based on the current market value of the cork. We get gift cards for our birthdays, graduation gifts, and as holiday presents. Some companies will actually keep the card when you use the last bit of money on it because they can recycle and reuse them. If you keep your old gift cards, you can gather them together and send them to Gift Card Rescue. The company recycles the plastic in the card and sends you a check for all the cards you send them. Granted, it will be much less than the original value of the card, but it’s like getting a bonus credit for all the cards you receive. Used cooking oil takes up space in our pantries. Many groups will actually help you get rid of that oil and pay you for it at the same time. There are recycling centers dedicated to taking the oil, biodiesel firms use it for fuel, and some individuals will purchase it through independent websites like Craigslist. Winter time is the best time to sell it as many people can use it to heat their homes. The value of the used oil varies from 33 to 66 cents per gallon, and selling it used is tax free. Human hair is a very prosperous recycling opportunity. Wig and hair extension manufacturers may pay anywhere from $200 to $1500 for natural, unbleached hair, depending on its shade, length, and condition. There are many websites that will purchase hair from you, including www.buyandsellhair.com, www.hairtrader.org, or www.hairwork.com. There are even buyers on Craigslist and eBay, but it’s important to research the buyer to ensure they are reputable. Common trash is recyclable for cash, too. TerraCycle will donate money for each article of trash you send them. They are great for fundraisers for schools and charities, and benefit most from places with a high trash output, like large businesses and schools. Recycling is important for the environment as it cuts down on material waste and energy consumption. The aforementioned recyclable items provide an added incentive to recycle, and will benefit others down the road. Start converting your useless articles into something more profitable! If you follow energy blogs, you might be tired of reading the same old ways to save power. 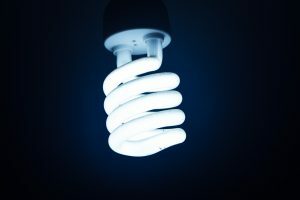 Here are some unique and easy ways you may not have thought of to conserve energy and save money on your next electricity bill. * Cold Water Washing: Heating water to do your laundry is one of the largest guzzlers of electricity in a typical home. Instead, switch to washing in cold water – it gets clothes just as clean, but uses less energy and, therefore, money. And if you are worried about how clean your clothes can get in cold vs. hot water, some manufacturers even make detergent for cold water washing! * Reduce Dryer Use: Since the dryer generates significant heat, consider running more than one load at a time. Also, try air-drying your clothing whenever possible. * Cover Your Liquids: If liquids are left open in the fridge, moisture from the liquids is pulled out, making the fridge work harder. Also, a well-stocked fridge will act as insulation to keep the temperature cold and might even help you spend more time at home and less time (and money) going out. * Be a Fan of the Fan: Use ceiling fans. They help make the room feel cooler than it is, so you don’t have to rely as much on your A/C. If you have an attic, install an attic fan to help cool the whole house. * Cover Your Windows: During the summer, try using blinds and curtains with a white exterior. As you know, white (and other light colors) reflect heat so this will reduce the amount of heat that is currently being absorbed (therefore causing you to use more energy to cool your home). To be even more energy efficient, try planting some trees near your home, which will help shade your windows and roof. Granted, this will take some time but the end result will be worth it. As a bonus, a well-landscaped property will add value to your home! * Lower the temperature of your water heater: Experiment until you find the lowest temperature that’s still comfortable for you and your family. By lowering the temperature of your water heater and taking shorter, quicker showers, you will reduce the load on your water heater. * Slow cooking: Use a slow cooker when you can, since it uses less power than an electric stove top. When you do cook on the stove, cover your pans with well-fitting lids so the contents cook faster. Another option is to grill your dinner outside if weather permits. Talk about a tasty way to save money and save power! 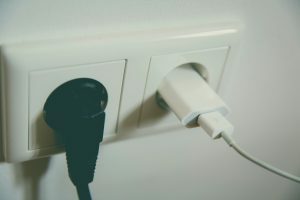 Are You Connected Through Power Surge Protectors? Many people take electricity for granted, and they do not always understand that they have to take certain precautions to ensure that all the devices they have plugged in are safe from power surges. A surge in the power could damage the items you have in the outlet, and this could be extremely expensive given the cost of some of the gadgets out there today! It’s always a good idea to find methods by which you will be able to keep all of your devices safe and sound. Surge protectors are a great way for you to do just that. The protectors are going to be able to control those surges so that they do not destroy your computers, televisions, and video game consoles, amongst other items that you have plugged into your home. 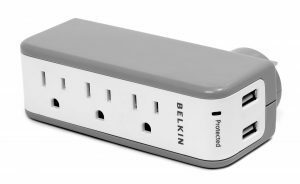 Surge protectors are very important for businesses as well, and they should be used with all of the computers and other expensive gear. One of the reasons that surge protectors are more important today is because of the advancements in the common devices that we use. Many of them have microprocessors that damage easily with power fluctuations. Keeping them as safe as possible is going to ensure that your devices have a much longer life. Many different things can cause surges in the electricity; even turning on a device that consumes a large amount of electricity, such as a dryer, could cause a surge in electricity through your home. Both surges and spikes can be dangerous for your electronic devices, but your surge protector can do a good job of keeping them safe. They will be able to absorb the excess voltage. You should only use them inside and in a dry location. When you are buying the protector, you want to make sure that it does not exceed the electrical rating of the device you will plug into it. You should never use the protectors with aquariums either. Something else that you should remember is that you must not use a surge protector with an extension cord. When you are buying a surge protector, you always want to make sure that you are buying the best quality possible. A good surge protector is going to have a ground indicator light, cable line protection, an alarm, and a good response time. You will find that some protectors have quite a few more features. It’s always a good idea to look at some reviews to make sure that you are buying a quality product that is going to do what it needs to do to keep your equipment safe and secure. Have you stopped to think about just how much waste humans put into the environment every day? The planet contains billions of people, and each of those people contributes to dirtying the earth and generating an amazing amount of trash and refuse daily. If we didn’t recycle, the impact of all of this waste would be overwhelming. While there are some people out there who still, for some reason, can’t see the benefit of recycling, most are starting to do their part and try to live a greener life. 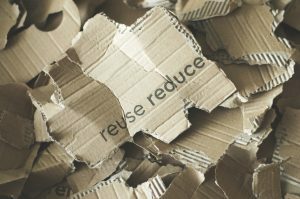 Whether you are recycling at home or you are trying to start a program at work that helps to recycle, you will find that there are quite a few benefits to doing so. Let’s look at those benefits, and then look at some of the ways that you will be able to do your part. When you recycle, you are going to be saving natural resources and wild areas around the world. 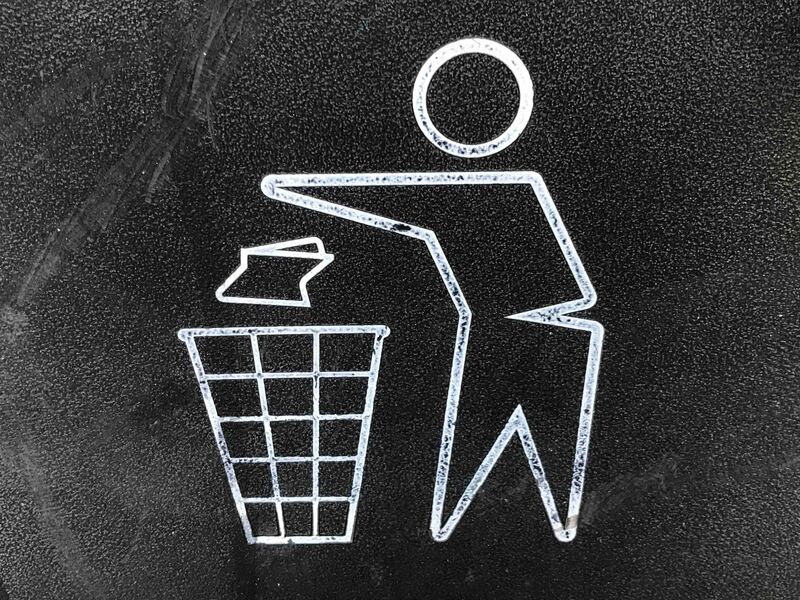 Recycling means that we can reuse and re-purpose some of the goods already in existence so that there is no need to take more of the nonrenewable goods from the environment. In addition, recycling is going to help reduce pollution. You are also saving energy when recycling. Consider all of the energy expenditure that it would take to make new products from raw materials. Using recycled materials is going to reduce the time and energy that it takes to create goods. When you recycle, you are also going to be conserving space in landfills. Whenever anything has to go into a landfill, it is going to take up space, and it can take many years – sometimes thousands of years – for some materials to break down in a landfill. By recycling, we will have more space in these areas, and it helps to keep toxic chemicals out of the landfills and groundwater. Something that many people do not even consider when it comes to recycling is the fact that it is an industry that has the potential to create quite a few jobs. If more people were recycling, it would cause a rise in the need for jobs around the country, and this would help the overall economy. It’s not hard to start recycling. Simply having a bag for bottles, cans, and glass, and taking them to a local recycling center is a start. You can recycle paper and other goods as well. It is also possible to take some of the old items that you have and donate them rather than filling up a landfill with items that could have a new life elsewhere. Are you still using traditional incandescent lighting in your home? If you are, then you just might be in the minority. Most people are seeing that the energy efficient bulbs on the market today, even though they are a bit more expensive, have quite a few advantages. 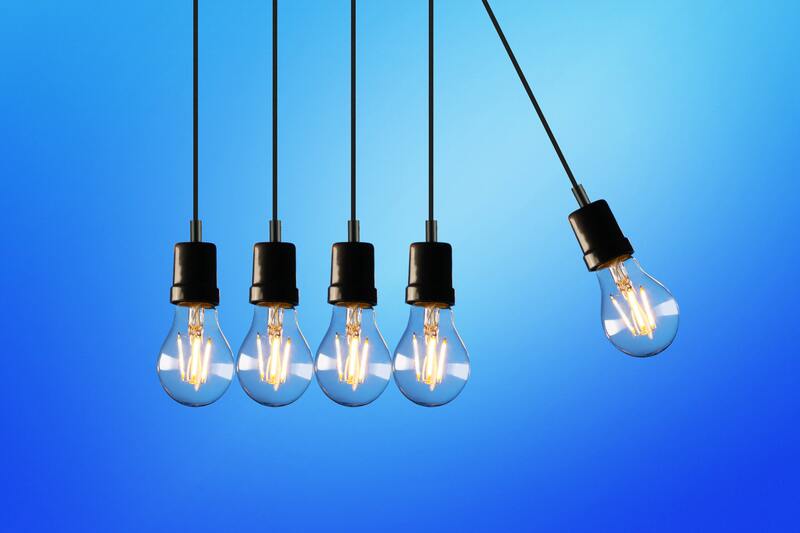 Your traditional lighting can account for up to 25% of your energy bill each year, so finding methods by which you are able to reduce this cost is a great first step toward lower energy bills. Fortunately, with CFLs (compact fluorescent lights) and LED (light emitting diode) lights, you have new and better options for all of your lighting needs. Each of these options can serve different purposes and are great for home and work alike. These are similar to the larger fluorescent bulbs, but they are much smaller and will work with the standard lamps that you might have at the home or office. One of the major differences with these CFLs and their larger counterparts is the light that they emit. They do not have the same harsh look that a traditional fluorescent light is going to have. Instead, the light has a characteristic that is very similar to the old incandescent lights. They are able to give off the same level of brightness, but they do so by using far less energy. As with other types of bulbs, you can find different colors such as red and blue. The LEDs are small, solid bulbs that are quite energy efficient and that have changed quite a bit over the past few years. Originally, they were small bulbs in electronics, penlights, and other single-bulb applications. However, some manufacturers are starting to see that they can be beneficial in other ways as well and are creating clusters of lights that they can use in the home for lighting. You can find quite a few bulb colors, including white, amber, green, red, and blue. the benefits that the new types of lighting can offer, you will see why it is a good idea. The new lighting is energy efficient and it will help you save on your monthly electric bill. Even though the bulbs might be more expensive to buy at the outset, they are also going to last much longer than the traditional bulbs, which means that you are going to be able to save even more in the end. They are becoming commonplace too, and you should never have trouble finding what you need. Understanding Your Utility Bill: What Do All Those Charges Mean? Most bills aren’t met with open arms and your utility bill is no exception. Bills can be confusing with all sorts of fees and surcharges tacked on. Do you ever just look at your “Amount Due”, pay it, and move on? 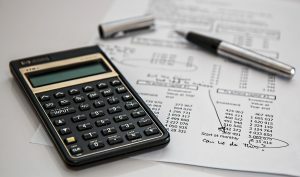 It might be the quickest thing to do but when you understand what all those numbers mean, your utility bill can be less of a headache and can help you learn where to save energy and cut costs. The total electricity used is based off of information obtained from your meter readings. The number will be listed in kilowatt-hours, or how much energy your home uses per hour. A kilowatt is equal to 1,000 watts. To give you some insight, a 100-watt bulb operated for 10 hours equals one kilowatt-hour (kWh). Retail electric providers receive meter readings from the Transmission Distribution Utilities on a monthly basis. The Transmission Distribution Utility is the company that owns the poles and wires through which your electricity is delivered. Your utility bill starts to get confusing when you look at how the energy and delivery charges are presented. If you have “un-bundled” billing, you will see the charges for “energy,” as well as charges for “distribution” and/or “transmission” listed separately. The distribution and transmission charges are considered “pass through” charges because they are assessed by your local Transmission Distribution Utility and included on your bill by your Retail Electricity Provider. The distribution and transmission charges go to pay for carrying that electricity over high-voltage power lines to substations, and then from substations over the low-voltage distribution power lines that enter your home. If you have bundled billing, you will see a charge per kWh that will cover both the energy charge and the distribution and transmission charges. Combined, the energy and distribution/transmission charges equal the total amount you pay for your electricity usage. Finally, your Retail Electricity Provider will also include taxes and a monthly fee, if applicable, to your plan. If you are confused about any part of your utility bill and want a line-by-line explanation, call your Retail Electricity Provider and they can help you. ENERGY STAR Label: How Do Products Earn It? When you shop for goods and appliances for the house, you probably see labels on some of the items that say “Energy Star”. Many people do not look into what this label means, but it is actually quite important for those who are searching for items that will help them save on their electric bills each month. 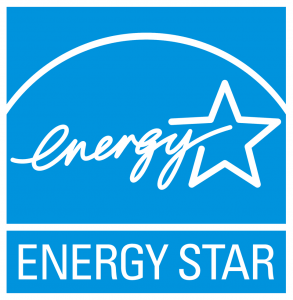 Energy Star is a government program that determines quality efficiency levels for electrical appliances (along with many other types of products). In order for a product to have this label, it needs to meet certain requirements and specifications. The main purpose of the label is so that it would be possible to reduce greenhouse gas emissions and pollutants, and to make it easy for customers to know which of the products on the market are going to be the most energy efficient and provide them with the most savings on their electrical bills each month. The EPA, or Environmental Protection Agency, creates the Energy Star label requirements that a product must meet in order to display the label. They have some guidelines that they use when they create the specifications. The product categories have to be in an area that will be able to provide savings nationwide. The products have to have features and performance levels that the customer expects and demands in addition to being energy efficient. This means that the products still have to work just as well as those that are not energy efficient. There can be no loss in quality. The product needs to be able to achieve energy efficiency through non-proprietary technologies that other manufacturers would be able to use as well. The energy savings have to be verifiable and measurable as well. As you can see, companies do have to go through quite a bit of testing, and they have to meet stringent requirements if they are going to be able to have and display an Energy Star label. They do not simply give out the labels; the companies and the products really do have to earn them, and that’s a good thing. It ensures that the products that come out with this label attached are able to do exactly what they say. You know that you can trust the products that have the label, and that’s a great thing for consumers. Why do companies bother if it takes so much to get the label? The world is moving toward a greener lifestyle, and people are starting to look for the Energy Star label. They know that it can help them save money, and that it can help to protect the environment. Getting the label is good for the environment, but it is good for business as well. Accidents in the home account for a substantial number of injuries and deaths each year, and often those accidents have to do with electricity hazards. While it is a part of everyday life, many people simply do not take certain precautions, which can lead to accidents. You don’t want to be one of the thousands of people injured each year, and you don’t want any member of your family to get hurt because of some simple safety measures being ignored. Understanding the basics about how to be safe around electricity can be very helpful, and is something that everyone should learn. Electrical outlets are the cause of thousands of injuries each year, and electrical failure is the cause of almost 90% of electrical fires. Once you start looking into all of the issues that can happen because of electricity, faulty wiring, and incorrect installation, you will see just why it is so important to minimize these hazards. Electrocution and electrical fires are two of the most common home hazards when it comes to electricity. It’s a good idea to have some knowledge about your home electrical system so that you can maintain it properly. However, you should only do basic maintenance. Problems with your electrical system that require repair should be left to a licensed professional. Too many people believe that they can take care of something that they believe to be a small issue but this is how accidents and fires happen! If you are going to work on any appliance, even if it is something as simple as gluing together broken portions of your favorite lamp, make sure that you unplug it. Just because you turn it off does not mean that the danger is gone. Unplugging is going to save you from possible injury and it could save your life. Home electrical fires have the potential to be deadly. It’s a good idea to have an electrician inspect your home every year or two, just to make sure that you don’t have issues with your wiring. Make sure that you have smoke detectors on every level of your home to provide you with ample warning in case there is an issue. Look for signs such as flickering lights that could indicate something’s wrong. You should also make sure that the cords on your appliances are always in good condition. With a bit of precaution and maintenance, you should be able to avoid many of the common hazards that occur with electricity. Kids Can Help Save Energy, Too! Everywhere you go, you hear about, “going green” and saving energy. More than just the adults are getting in on this trend. Many children are starting to learn in school the importance of saving energy. It is also a parent’s responsibility to teach their children more about conservation. Understanding this and putting it into practice at an early age are going to help instill the importance of saving energy for the rest of their lives. Future generations are likely to be much savvier when it comes to using less energy. 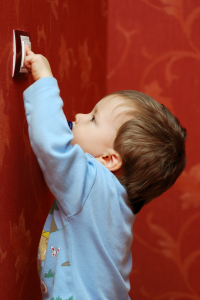 No matter how young the kids might be, they can start saving energy. Here are a few tips that they will be able to incorporate into their lives. Make sure that they know to turn off the lights in the room whenever they leave – as long as no one else is in the room! When they are brushing their teeth, teach them that it’s a good idea to turn off the water until they need it. They should also know that it is a good idea to unplug their computers and games when they aren’t using them. Explain that even though the computer might be off, it is still taking some energy from the outlet. Many kids who get hungry for a snack will stand in front of the refrigerator with the door open. This wastes quite a bit of electricity. Tell them that they should have a plan of what they want to eat before they get to the fridge so that they can get in and out quickly. If they have quite a few toys that run on batteries, introduce them to the concept of rechargeable batteries. Show them that these batteries are going to be better for the environment than wasteful disposable batteries. The energy that it takes to remove those batteries from the environment is much higher than what you would use recharging batteries. Here’s a fun exercise that you might want to try with your children. Make some little badges, or buy some fake badges and “deputize” the youngsters as energy police. Teach them about some of the things that you and the family have to do in order to reduce your energy usage, and give each of the energy saving tips a special code. Whenever anyone the family violates one of these energy saving laws, the kids will be able to write them a ticket. This is fun for the kids, it gives them more responsibility, and it helps to teach them the importance of conservation at the same time.